Golf has been my life for the past 50 years, including the last 30 as a Certified PGA Teaching Professional. I have enjoyed great results teaching adults of all ages and skill levels not only the swing but also short game shots and on-course play. I consider it my job to help you achieve your goals on the course, and to do so, our relationship needs to extend past the driving range or the putting green for you to reach your personal goal line. 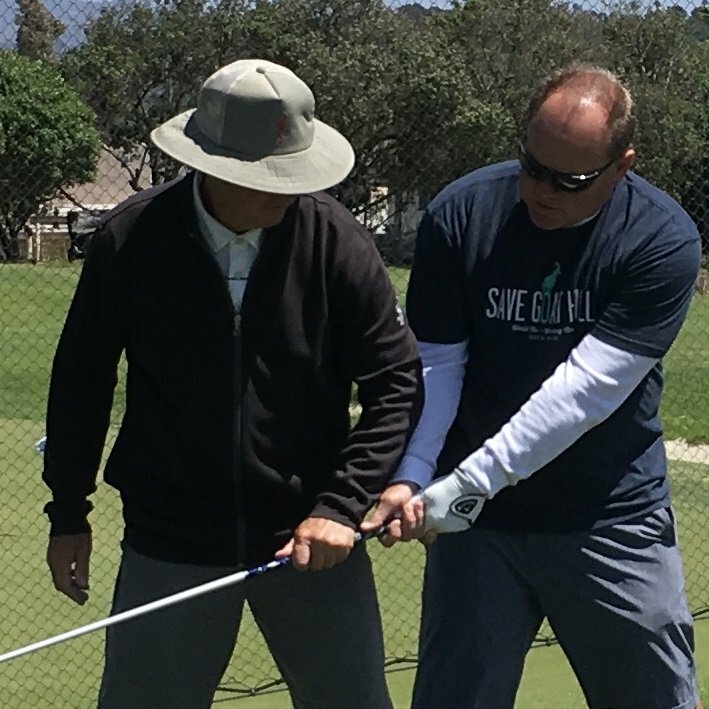 No matter what level you are now - from Scratch to pure Beginner - my personal teaching philosophy and process, which I call The Swing ~ Score ~ Play method will lead you to lower scores and more enjoyment! Come and visit me at Goat Hill Park where we offer individual instruction as well as groups and clinics for all ages and skill levels, come on out to our all grass range and great short game facility to work on your game and get better!! Ask about mid-weekday discounts for men and women.